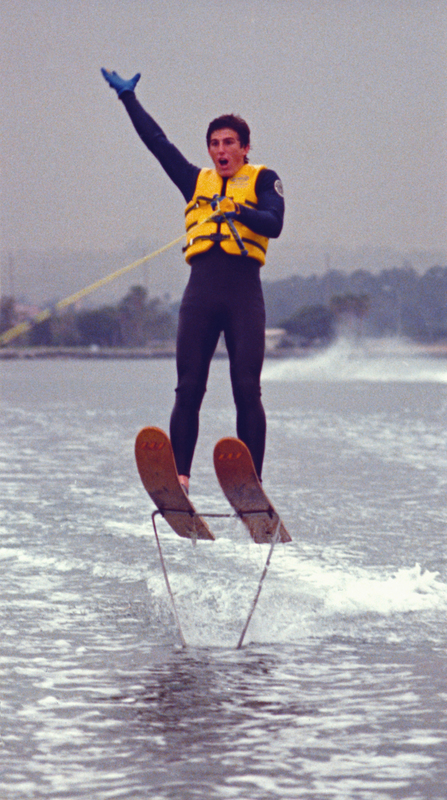 Stand-Up Foils were a popular ride for Klarich and his uncle Mike Murphy in the 1970s and 1980s. The family fascination with foils eventually lead to Mike’s co-invention of the Air Chair in 1989. Brief History of Stand up Foils: Walter Woodward developed the first hydrofoils for water skiers in early 1960. Woodward used his background as an aeronautical engineer to come up with the concept, and Frazier Sinclair was the first one to successfully fly them. Woodward needed help with marketing, and partnered with Lucas Emmanuell, a Harvard School of Business graduate. Woodward patented his invention, and the two men started producing stand up hydrofoils under the name of Dynaflite. Adventures in Water Skiing: Part 4, Hydrofoiling.